As long-time direct marketers, both my co-author, Perry Alexander, and I have found that to maintain effectiveness and relevancy as consultants, and as a creative team for direct marketers, we must continually reinvent ourselves. As we have evolved and reinvented our traditional direct marketing skills over the years, the editors of Target Marketing have invited us to evolve from our online video marketing blog to broader topics. Today we introduce Reinventing Direct. An early phase of reinventing direct marketing competencies began just over a decade ago when we moved beyond direct mail to create basic websites, apply search engine optimization, implement email marketing and pay-per-click campaigns. Today’s phase of reinventing direct marketing core competencies requires a mastery of even more tools. For example, video marketing campaigns forced us to become better versed in social media creative and measurement. Site and search retargeting present another opportunity for direct marketers. 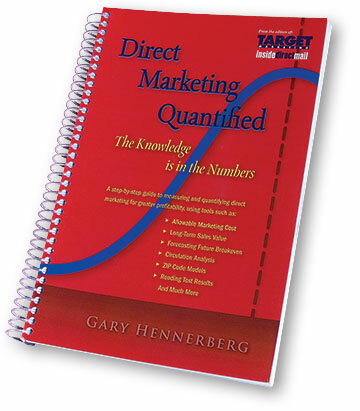 Customer relationship management systems promise to take direct marketing measurement to a higher level. And what direct marketer can overlook mobile marketing? Bottom line, there is much to cover in this blog and we look forward to sharing what we’re learning in practical, easy-to-understand recommendations, all geared toward direct marketers, so you can reinvent yourself, and become a catalyst for change in your organization. We’ve chosen online competitive analysis as our first blog topic. Why? Because every thoughtful new business plan and marketing plan includes an analysis of the competition. In addition, at least once every year you should investigate what your competitors are doing online. It will make you sharper, and more competitive. So today you’ll learn about ten tools you can use to compare how you stack up compared to your competitors. Some of these online sources are free up to a point, but if you want more robust analysis, there is often a cost for the upgrades. Another thing: numbers between analysis services that offer similar analytics are often somewhat different. You’ll need to keep in mind that the numbers are usually estimated, but they do give you some indication of a competitor’s performance. Before you begin to conduct your research, I recommend that you create a matrix with columns naming your competitors in the top row across a spreadsheet. In the column down the left side, list key data points. That way you can see how your site performs on a side-by-side comparison with your competition, and you can sort the findings to rank various attributes. There are many online analysis tools available and we encourage you to search for them and check them out. We also invite you to share your recommendations of other services that you have successfully used. Please post your recommendations in the comments section below.